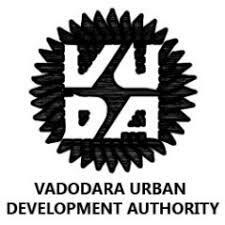 Vadodara Urban Development Authority (VUDA) has published Advertisement for below mentioned Posts 2017. Other details like age limit, educational qualification, selection process, application fee and how to apply are given below. Experience: At least 3 Years of Experience in Procurement, Design and Supervision of infrastructure works. Ability to assist ULB’s to set standards and procedures for ensuring quality and monitoring compliance. Prior Experience in Government Projects will be an added advantage. Fluency in Local language essential. Experience: At least 3 years of Experience in Govt./Semi Govt./Autonomous organizations/Private Company of repute. Experience in software development and database management. Fluency in Local language essential. How to Apply: The interested candidate fulfilling qualifications may send their application in prescribed application format which is uploaded on official website of Vadodara Urban Development Authority: www.vuda.co.in Candidates may send Application Form, Degree certificate, Final Year Mark sheet, Experience Certificate, all necessary certificate relating to job specification & documentary proof, ID proof (all attested copies) to this office. The application must be sent through the regular post, Courier or speed post only, no other mode will be accepted. The application should reach to this office latest by Dt. 06 October 2017 before 5:00 P.M. The envelop should be clearly mentioned that “Application for the Post of Civil Engineer / MIS Expert ”. The candidate who knowingly or willfully furnishes incorrect or false particulars or suppresses necessary information will be disqualified and if appointed he/she will be liable to be dismissed from services without any prior notice.